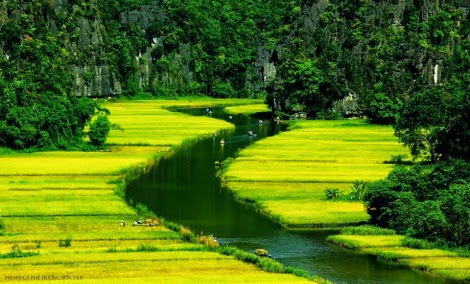 Hoa Lư is a district of Ninh Bình Province in the Red River Delta region of Vietnam. 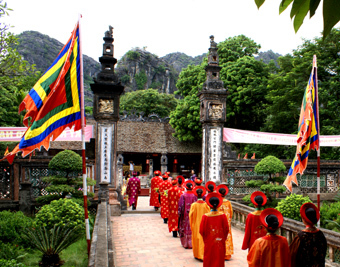 Before 1010, Hoa Lư served as the capital of Dai Co Viet. 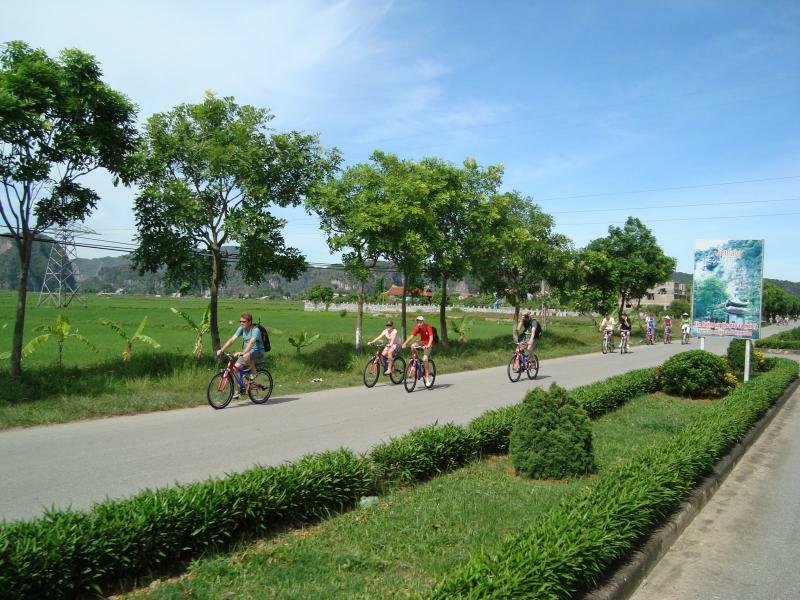 Hoa Lư Ancient Capital is located in Trường Yên Commune of this district. 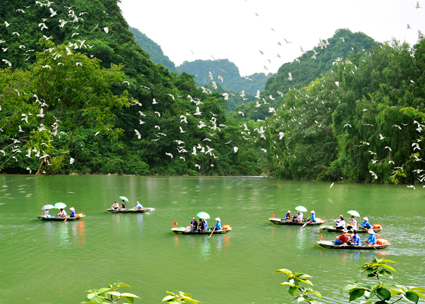 Tam Cốc is a popular tourist destination near the city of Ninh Bình in northern Vietnam. 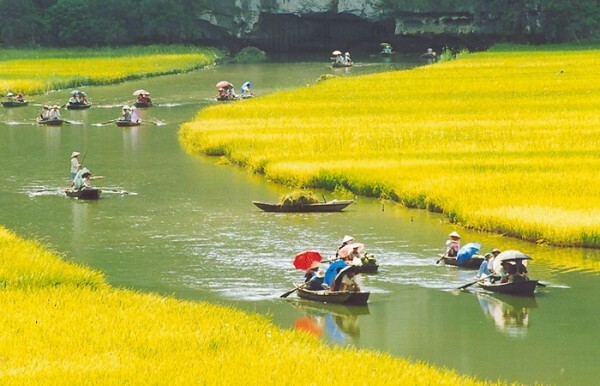 To visit The Tam Cốc (“three caves”), you will use a small boat along the Ngô Đồng River, beginning at the village of Van Lam and proceeding through a scenic landscape dominated by rice fields and karst towers. 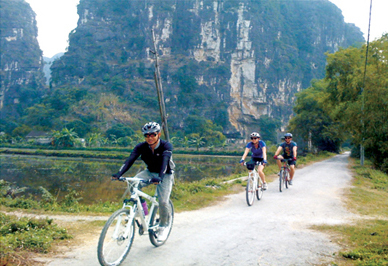 The route includes floating through three natural caves (Hang Cả, Hang Hai, and Hang Ba), the largest of which is 125m long with its ceiling about 2m high above the water. The boats are typically rowed by one or two local women who also sell embroidered goods. Bích Động is a pagoda on nearby Ngu Nhac Mountain dating to 1428, comprising three structures: Hạ, Trung, and Thượng Pagodas, in ascending order. Guided tours generally cover historical points and end with a pleasant view from the top. Tam Cốc-Bích Động with Phát Diệm Cathedral, Hoa Lư Ancient Capital, Bái Đính Temple, Tràng An, Cúc Phương is the destination of Ninh Bình Province. - Pick up and drop off at your hotel by modern air-conditioned bus. - Buffet lunch. Entrance fee and boat fee. - Tax and travel insurance. - Tips and other expenses not mentioned in the package.